So...you've probably noticed I've been a little absent from the blog lately. My bad. I got overwhelmed with life and frankly, lost my inspiration to blog for a while. I know it happens to everyone so I'm just going to leave it and that and say that I think I've found some inspiration and I hope to have many more posts out for you all soon. Thanks for being patient. Today's song is Across The Universe by Fiona Apple. Now, we all know this song was originally sung by The Beatles but Miz Apple recorded a version for the Pleasantville soundtrack and I've loved it ever since. It seems haunted, the way she sings it, and yet slightly hopeful at the same time. Enjoy. 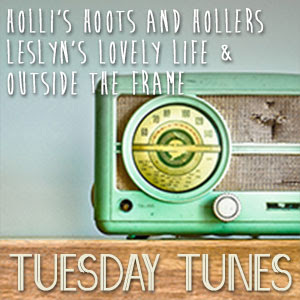 I'm linked up at Leslyn's Lovely Life for Tuesday's Tunes. Influenster Summer Block Party Sweepstakes! Do you remember that one time? Copywright 2010-Present -- Life Of A Lost Muse. Powered by Blogger.